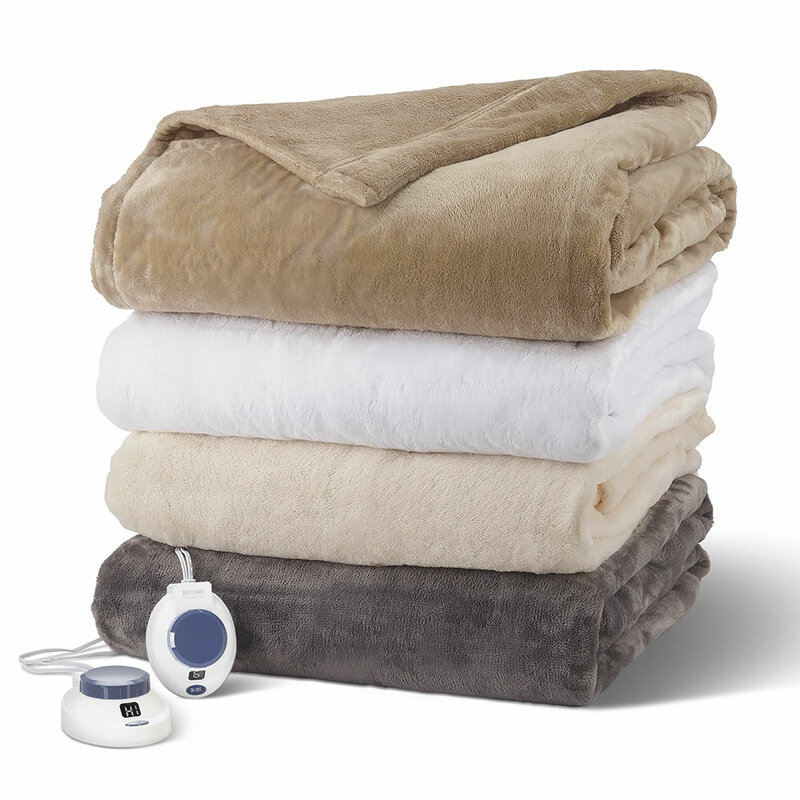 This heated blanket earned The Best rating from the Hammacher Schlemmer Institute because it produced the most consistent heat and was the most comfortable. Temperature varied by approximately 1° F across its entire surface, resulting in a temperature consistency that was over 30% better than lesser models. The included controller (two on Queen and King sizes) has 10 heat settings and the thinnest wires making it virtually undetectable to the touch. Made with 100% soft polyester and withstood repeated cycles in a washing machine and dryer without any pilling or fraying. With 10-hour automatic shut off. Natural, Linen, Gray, White.